how to get shared with me form? 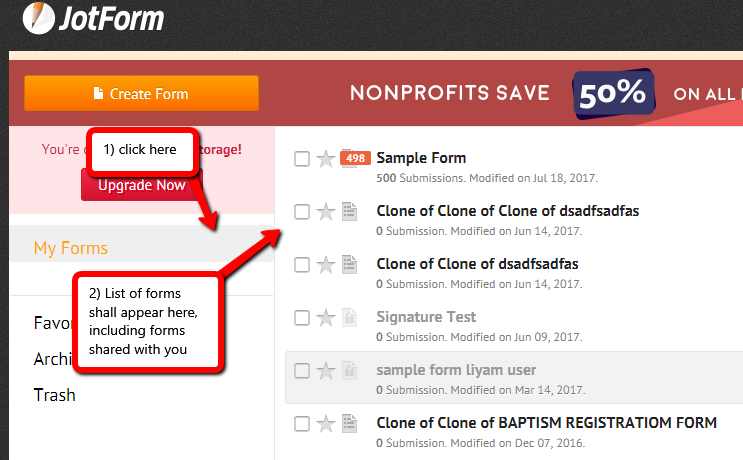 The forms shared with you shall appear automatically in your My Forms page, if there is any forms that has been shared to you. But to ensure that you are viewing forms that are shared with you, on your My Forms page, click My Forms. It should provide the list of forms that you have and the forms shared with you on a single list.